To everyone of maniacs I think that you enjoyed the Iamoni Ultra Recording of each of the Nagoya Dome in Kokugikan a lot. If only some of them are finest recordings, if those two tops and various sound check sound sources are also aligned, it is about time that items related to pole are settled … … the items of shock that surprises everyone who would have been disappointed release surprisingly! The master of Iamoni recorded the Liverpool performance of Noh. This is already a stunt staff stuntly standing before the provided sound. Even just Kokugikan and Nagoya were great masterpieces, and it is said that they will provide not only sound stuff that catches the stage abroad that does not stay there. Recording of the masters was more unnatural in the performance which tended to be in the past monsters, the smart finish which I can hear with the live album sense in the futsu was a masterpiece. With that extraordinary recording level, even after the performance in Japan I will be able to enjoy more shows with different qualities. Last year, the fresh-up tour that took place after the Japanese performance went around Europe, and the closing of the curtain with the process of the home country UK in the last stage. 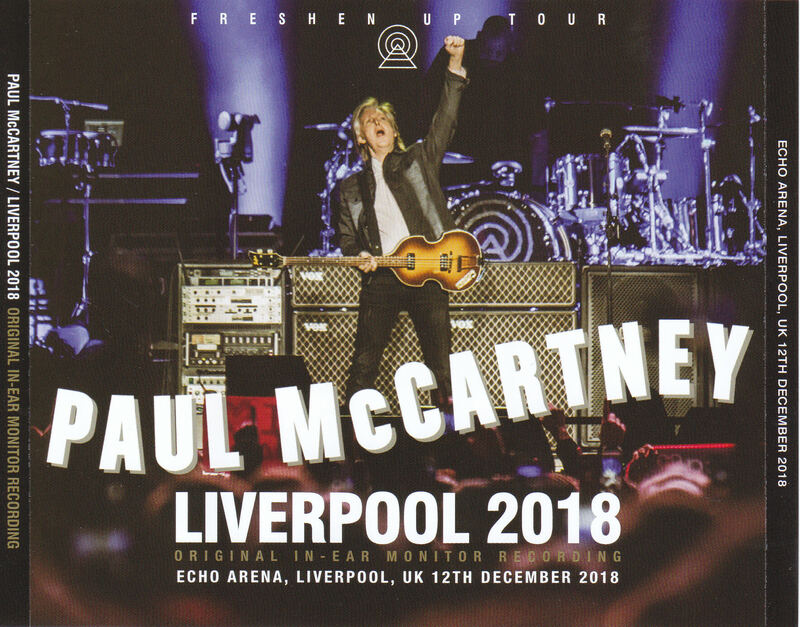 Of course Paul’s hometown of Liverpool was also included and was held until the campaign where “the right to sing along with Paul at Angkor” was hit before the performance. 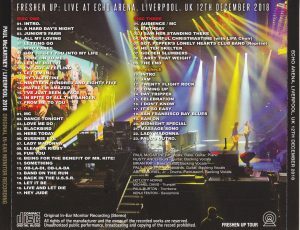 It was also the Liverpool performance on December 12, of course that the master of Iyamoni went to the UK for a recording. 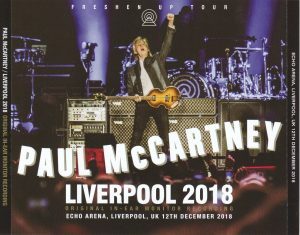 Last year’s British tour had a feeling that attention was gathered only in London on the last day when apple and Ronnie Wood appeared, but a really wonderful show was spreading in Paul’s hometown of Liverpool. I can enjoy it with clear and stereo sound of exception this time as well. The master of Iamoni did this time again! This time sound quality is different from either “RYOGOKU KOKUGIKAN 2018: ORIGINAL IN – EAR MONITOR” or “NAGOYA DOME 2018: ORIGINAL IN – EAR MONITOR RECORDING” which secured the position of the decisive name board in the last year ‘s Japan tour. For each appeal such as the former who felt even the total degree of completion as a live album, the latter of ugly powerful impression, this time the recording state with “thickness” is wonderful. Speaking of Iamoni recording, there is a tendency that the thickness tends to be insufficient. In the past Iamoni recording items etc. were added with unnaturalness of the balance of the instrument there and tended to be thought to be “a clear but habitable” sound source there. It was the two titles mentioned earlier that I turned over the image in the bad meaning of such Iyamoni sound source. Anyway, the recording of this time is caught in a good feeling like Paul’s baseline, and like enjoying the previous title, I can enjoy it again with the live album sense of Futsu. 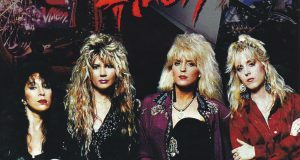 And a few new songs from the European tour were introduced and the fact that the degree of fresh up was raised took a hot topic also remembered newly. First of all, “Dance Tonight”. If you listen to it with an ear moni sound that is good for clearness, the rusty sounds freshly with a crisp cutting cutting electricity. Wonderful Christmas Time “unique to the seasonal pattern called December was to make the maniacs all over the world say more! In addition, when playing, Choir of the art university LIPA which Paul supports will come out and hear the chorus. This pattern is recorded with the highest sound quality and it is fun to hear the voices of children who can not hide the excitement that cheered after playing. If only these two songs are enthusiasts, I will assure you that they are satisfied satisfactory. 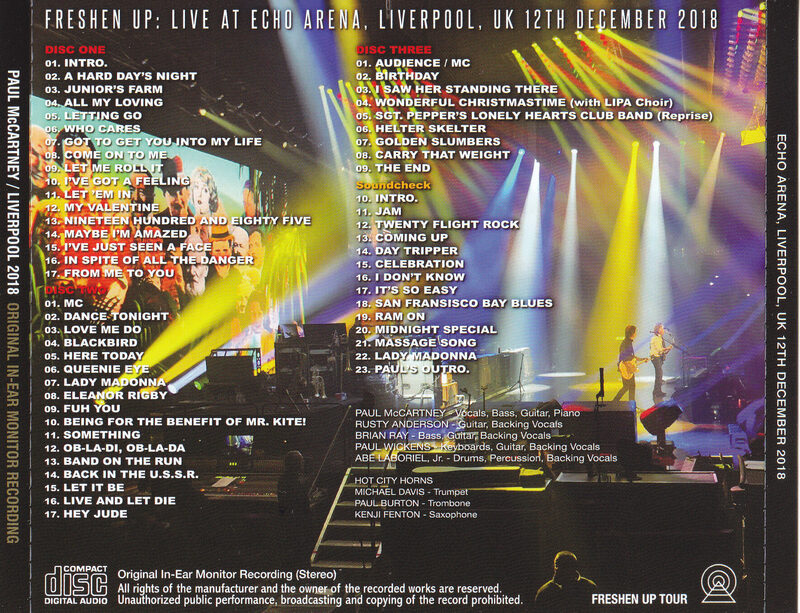 The right to sing along with the example encore was realized with “I Saw Her Standing There”, but the conversation between Paul and two women who appeared was not interlocking with each other very much, much less singing voice (bitter smile) The scene is also super clear sound document Naturally release press is limited press CD. ★ A surprisingly high-quality three-piece set of miraculous levels that also exceeds that two countries Iyamoni. You can instantly understand what you are not exaggerating if you listen. This is a (worldwide) major incident! 7. Lady Madonna 8. Eleanor Rigby 9. Fuh You 10. Being for the Benefit of Mr. Kite! 11. Something 12. Ob-La-Di, Ob-La-Da 13. Band on the Run 14. Back in the U.S.S.R.
19. Ram On 20. Midnight Special 21. Massage Song 22. Lady Madonna 23. Paul’s Outro.